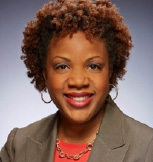 Danette Gerald Howard, Ph.D. is senior vice president and chief strategy officer at Lumina Foundation. Dr. Howard oversees several of Lumina’s key strategies to increase Americans’ attainment of high-quality postsecondary degrees and credentials, including strategic work in both state and federal policy and the Foundation’s growing national convening function. She also leads the Foundation’s efforts to mobilize and engage employers, metropolitan areas, higher education institutions, and other key actors with a stake in postsecondary attainment. Prior to joining Lumina, Dr. Howard served as Secretary of Higher Education in Maryland, leading the state’s postsecondary education coordinating agency, the Maryland Higher Education Commission. She also held positions at the Education Trust, the University of Maryland, College Park, and the University of Maryland, Baltimore County. 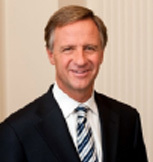 Under Governor Bill Haslam’s leadership, Tennessee is recognized as a national leader in education reform. Since Governor Haslam took office in 2011, Tennessee students have been the fastest improving in the country in academic achievement. High school graduation rates are at an all-time high, and Tennessee is the first state in the nation to offer high school graduates and adults two years of community or technical college free of tuition and mandatory fees. In 2013, Haslam launched the Drive to 55 to increase the number of Tennesseans with a postsecondary degree or credential to 55 percent by 2025. Following the introduction of the Tennessee Promise in 2015, first-time freshmen enrollment increased 25 percent at community colleges and 20 percent at technical colleges in one year, and the college-going rate in Tennessee increased to a high of 62.5 percent in 2015. Estela Mara Bensimon is a professor of higher education at the University of Southern California’s Rossier School of Education and Director of the Center for Urban Education, which she founded in 1999. With a singular focus on increasing racial equity in higher education outcomes for students of color, she developed the Equity Scorecard—a process for using inquiry to drive changes in institutional practice and culture. 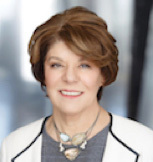 Dr. Bensimon has published extensively about equity, organizational learning, practitioner inquiry, and change, and her articles have appeared in journals such as the Review of Higher Education, Journal of Higher Education, Liberal Education, and Harvard Educational Review. Dr. Bensimon was associate dean of the USC Rossier School of Education from 1996-2000 and was a Fulbright Scholar to Mexico in 2002.